Model parameters: Length: 187 cm. Chest: 99 cm. Waist: 78 cm. Hip: 94 cm. 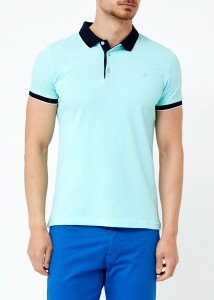 Model size:M Spring-Summer collection 70% Cotton 30% Polyester ADZE Turquoıse Men's Pıque Polo Shirt. 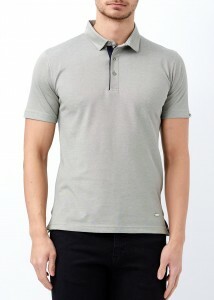 Your order will be send in 24 hours (weekdays) after confirmation. And at the first day after weekends. You can return/exchange the goods purchased on our website within 10 days after it is delivered to you. Products that are being returned may not be worn, washed or damaged. Return the goods only in full package, with all packages and labels, in unused form together with a receipt for paıment (invoice) to our address: Alfamet Tekstil San. Dış Tic. Ltd. Şti. Mehmet Nesih Özmen Mah. Defne Sok. NO:21/4, Merter/İstanbul. Tel. (WhatsApp/Viber): +90 543 532 23 93. After checking the goods for compliance with the terms for the exchange, we will send the desired product within 3 working days. If the product isn’t in stock we will refund you the price of the product in the same way as your initial payment was made. Please use the local shipping service for a return so that there are no problems and be sure that all expenses are paid for by you. Copyright © 2018 Adze ™. All Rights Reserved.